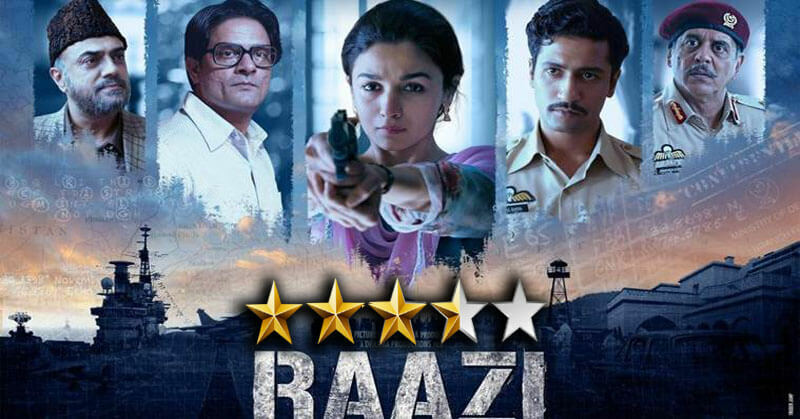 The highly anticipated movie, Raazi has been released today and it seems like the perfect combination of thriller and drama. The Alia Bhatt starter film is directed by Meghna Gulzar and produced by Karan Johar. It also features Vicky Kaushal in lead role. 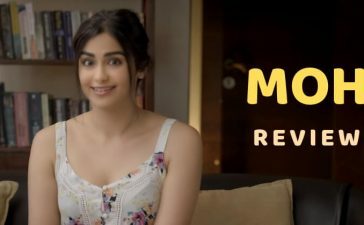 The film is based on the popular novel “Calling Sehmat” which was written by Harinder Sikka. It is a periodic drama that plots around the Indo-Pak war of 1971. Alia Bhatt played the role of a candid Kashmiri girl who becomes a spy to serve her country. 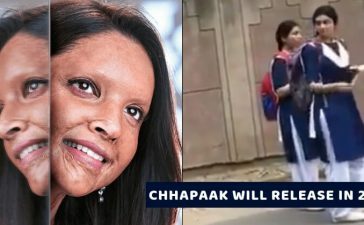 She married to a Pakistani army Officer, Iqbal (Vicky Kaushal) from there on she becomes the ear and eye of India and interact with information from Pakistan. She becomes suspicious for the Pakistanis and this made her striving for survival in there. 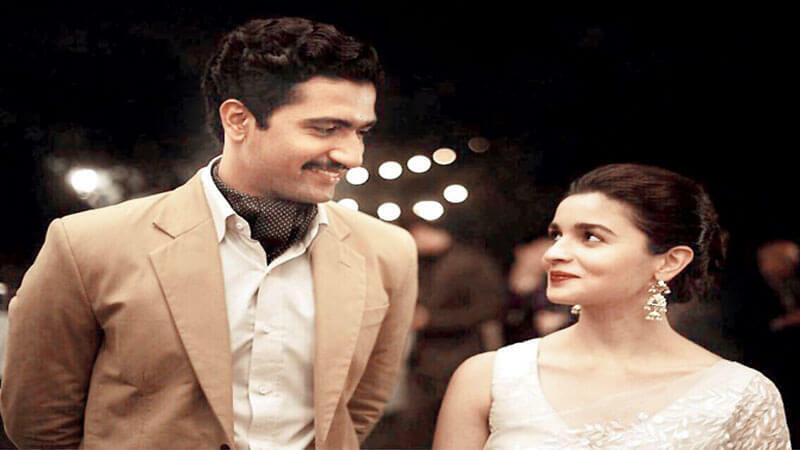 Alia Bhatt and Vicky Kaushal did their part with perfection. 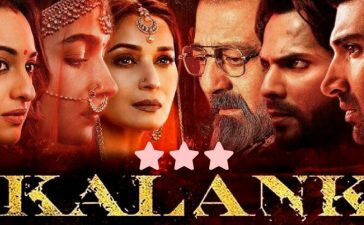 Alia Bhatt pleased us every time she took the screen. She played the role of an obedient daughter, a fearless spy, and an ideal wife. 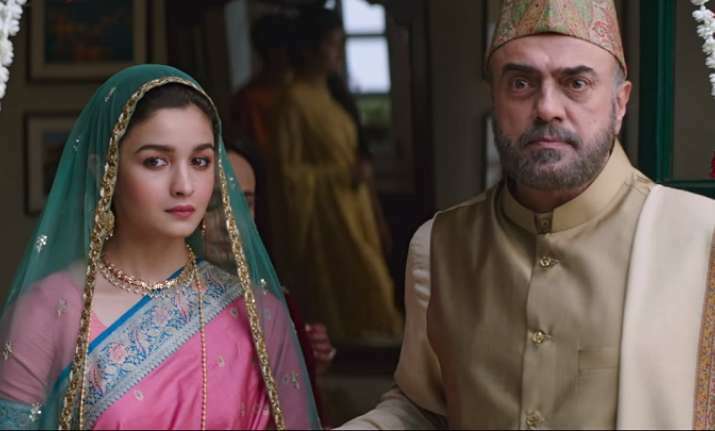 Apart from Alia Bhatt and Vicky Kaushal, the film encompasses Rajit Kapoor, Shishir Sharma, Jaideep Ahlawat, Ashwath Bhatt, Amruta Khanvilkar and Soni Razdan in the key roles. 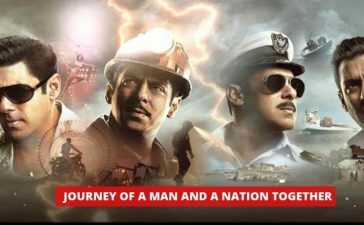 The music of the movie is pleasing and it makes a remarkable impact on the viewers. Shankar Ehsaan Loy composed the music while Sunidhi Chauhan and Arijit Singh sang the songs. Moreover, Meghna’s father Gulzar wrote the lyrics. The director Meghna Gulzar made a realistic approach in the movie. Her prime focus is to highlight the emotional ups and downs of the life and no doubt, she successfully did it. If you like to watch the movie with the realistic appeal, you should watch this one. We would like to give it 3.5 out of 5 stars. What do you say? Are you planning to watch the movie? Share your thoughts in the comments. 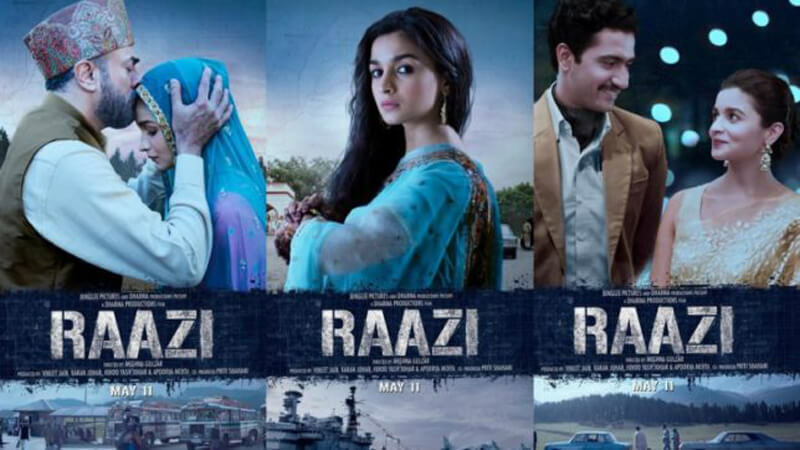 Check the trailer of Raazi, here.